Below is the confidential paper on building an investigative culture in a corrupt sports world that I wrote for the World Anti-Doping Agency (WADA) Think Tank held in Lausanne on September 20th. It was supposed to be secret but some craven twit leaked it to his pals in the media within 24-hours of it being circulated. Now that a number of journalists have read it, I have no hesitation in making it public. 1) World Anti-Doping Agency is not broken. They have had a fantastic success. Now they are facing a push-back by a sports and political establishment that is deeply embarrassed by their investigations. 2) The IOC and the Qatari-funded ICSS will join forces in February of 2017 to form an “sports integrity alliance” purportedly to fight match-fixing and other sports integrity issues. IOC officials confirmed this alliance, but say that it will not affect anti-doping. Quite why the IOC would publicly link themselves to a Qatari backed group on ’sports integrity’ is beyond me. 3) Hilary Clinton’s State Department was so hacked by foreign agents it was safer for her to use her own Blackberry. She cannot publicly admit this fact. The Republicans know it and are making political capital out of it. 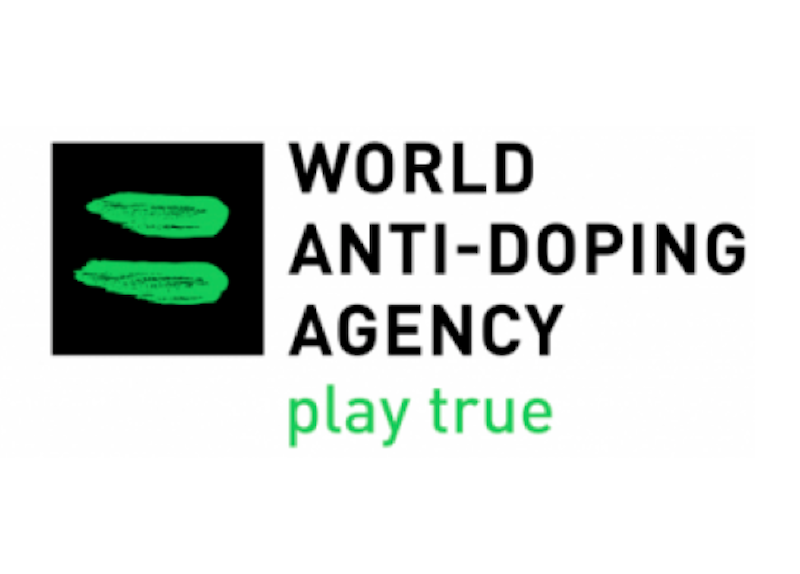 The World Anti-Doping Agency (WADA) is facing the worst crisis in its fifteen-year history. It is a situation that threatens its very existence. Its parent organization, the International Olympic Committee (IOC), has stated that much of the imbroglio of the Russian state-sponsored doping was actually WADA’s fault for not investigating the situation earlier. The Russian sports and political establishment has declared the work of WADA to be motivated by ‘Cold War’ politics and has very publicly questioned the integrity of the organization and its staff. The Russian-linked hacking group ‘Fancy Bears’ has broken into much of WADA’s database from an IOC e-mail address. Given this announcement, WADA staff and executives should currently assume that all their communication, by computer or mobile phone, is insecure. While the Russian scandal was breaking (November 2015 to July 2016) there was a great deal of speculation in the international media about the possibility of similar widespread doping regimes in other nations such as Kenya, Jamaica and China. In the last twenty years, the Chinese government has mounted the most aggressive intelligence gathering operations in modern history. The Canadian, American and many European governments have all been technically infiltrated (This is one of the reasons why Hilary Clinton had to use her personal e-mail server at the US State Department; although she cannot publicly admit that fact). As with the confirmed threat from other hackers, WADA staff should assume that their communications are being targeted by the Chinese government and is very unlikely non-confidential. 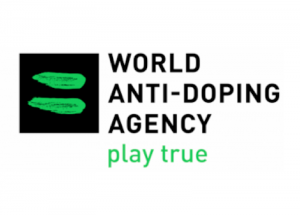 On the other side of the debate, seventeen National Anti-Doping Agencies from the United States to Denmark to New Zealand are publicly criticizing WADA for not being independent enough from the IOC (September 2016). Perhaps most threatening to WADA’s future, the Qatari-funded organization the International Centre for Sports Security (ICSS) is negotiating with the IOC and other sports officials to establish an agency responsible for integrity in sports. The proposed new agency will be launched in January 2017 in Lausanne, Switzerland. Thomas Bach, the President of the IOC, is due to speak on this issue on October 8th, 2016. IOC officials confirm this alliance has been proposed to deal with match-fixing, but say that it will not affect the anti-doping field. The good news is that WADA has gotten itself into this situation by doing the right thing. The current scandal was not caused by corruption on the part of WADA staff or executives. Rather it comes from WADA embracing the investigative mandate it was given in 2015 to pursue the widely circulated media allegations against the Russian sports establishment. In most ways, WADA has done so effectively and well. The good work of WADA has thus caused the organization to be targeted. Secondly, WADA is still considered the ‘good guy’ in the scandal and public sympathy is, generally, on its side. It is possible for the organization to recover this and come out in stronger position. Given this difficult situation for WADA, let us examine some of the steps that the organization may need to implement to conduct more investigations in an atmosphere of corruption. One point before we get to the analysis. Since the delivery of the first Independent Report (Pound et al, November 2015) WADA has found itself dealing with two forms of sports doping. One is the older form of corruption found, for example, in professional cycling throughout the 1990s and early 2000s: where the doping was driven by the athletes and teams themselves with the aid of an informal network of well-connected doctors. The second form of sports doping is a formal – state-sponsored – corruption. Where institutions inside the government mandate the doping. Even the national anti-doping agencies in some countries have been corrupted. For example, the state-sponsored doping in current-day Russia is akin to the East German system in their athletic programs during the 1970s and 80s. Under this system, the individual athlete has little power to say ‘no’ to doping, whatever their personal inclination. 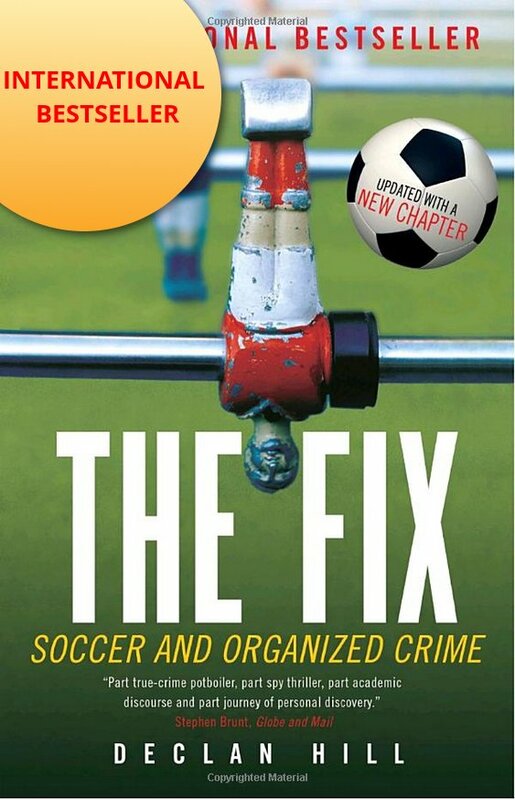 Soon after the above indictment was released by the American authorities, Jeffrey Webb, the former President of CONCAFF – the organization that administers football in North, Central American and the Caribbean, pled guilty to a multi-million dollar fraud. The U.S. officials pointed out that throughout his career in sports Webb had conducted his fraudulent activities behind a web of words that was a deliberate camouflage for his criminal activities. The Jeffrey Webb case is not unique. Almost every sports official who has been charged recently with corruption or doping-enabling has spoken about the need for better ethics. In fact, the debate on ‘ethics’ can at times be a deliberate distraction by corrupt leaders to move away from practical solutions. Given this situation and the ‘new’ form of government enabled corruption, preventing doping in sports is no longer a question of ethics or teaching athletes to do the right thing. i) Reward people for doing the right thing. Ex: Pay policeman proper salaries. Give whistleblowers adequate compensation. ii) Punish (very strongly) people who do the wrong thing. Ex: Long jail sentences for corrupt policemen: lifetime bans for doping athletes. The investigations arm of WADA needs to deliberately nurture an independent attitude and culture. This could go as far as putting the investigation unit in their own building separate from the WADA administration. Certainly, it means locked doors, secure cupboards and private interview rooms for WADA investigations. The information gathered by the investigation unit should be kept absolutely secret. Given the geo-political importance of sports and the knowledge that WADA computers have been hacked, the investigation rooms (indeed all of WADA offices) should be swept in the next few weeks for electronic listening devices. One of the most serious blows to WADA’s image over the last few months was the New York Times article (June 2016) which pointed out that one of WADA’s senior executives was also serving on the Executive Committee of the International Olympic Committee at the same time as he was leading WADA. This appearance of a conflict of interest has created a massive credibility gap for WADA, exactly at the time it is trying to fight to retain its credibility. The reality is that WADA cannot appear to have any conflicts of interest or compromised executives. Trust in WADA comes in how its leaders are perceived by non-doping athletes. WADA leaders should not only be clean, they must be perceived to be clean. In the 1970s, after the revelations of Serpico (an honest police officer who blew the whistle on the activities of his corrupt colleagues) the New York Police Department (NYPD) faced a crisis of confidence. It was perceived by the public as a largely corrupt institution that cared more for its own bureaucratic agendas than keeping the city safe for its citizens. Over the next few years, the anti-corruption reformers at the NYPD set out to reverse this ‘trust debt’. They were led, in part, by Rudolf Giuliani who stressed that honest New Yorkers must trust the police. If honest citizens would not provide information against criminals, there would be no hope in winning the battle against crime. The key to reversing the trust debt at WADA is the treatment of whistleblowers: the people inside sports who reveal possible corruption. If other clean athletes and coaches see that these whistleblowers are well treated, they will trust the investigation arm of WADA. If these whistleblowers are perceived as ‘losing’ by being willing to testify against doping in sport, then other avenues of useful information will dry up. WADA, therefore, should establish a secure, credible whistleblower hotline. 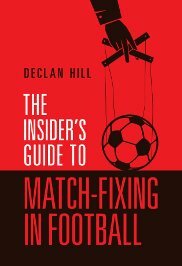 Both the hotlines established by the IOC and FIFA (the governing body of international football) should not be imitated. In their wording and appearances, their sites look as if they have been developed by Swiss bureaucrats. They do not inspire a twenty-something athlete to come forward with potential incriminating information. Particularly, as the IOC site specifically tells a potential whistleblower that their identity may be revealed to ‘senior sports executives’: the very people whom the whistleblowers might be testifying against. WADA’s treatment of potential whistleblowers should be based on the legal principle that an informant cannot be obligated to disclose their identity. The NYPD developed an excellent model that might be imitated. In their model, the whistleblower was given a numeric, non-transferable code when they first reported. They did not give their names or any identifying information. In subsequent investigations, the informant could disclose their code only when they chose to do so. In other words, the whistleblower keeps the power to disclose their identity when they feel safe to do so. WADA should reward whistleblowers. There is an excellent program in Washington D.C. run by the Inland Revenue Service that gives the whistleblowers a percentage of the money saved by the American taxpayers due to their revelations. This could be discussed as a possible model in sports. If a whistleblower were to receive the prize money given to a doping athlete it would attack the trust within the community of doping athletes, coaches and doctors. For example, it would be much easier to persuade whistleblowers to come forward in the current Russian scandal, if they were to receive the prize money of all the athletes who were subsequently proven to have doped in winning their medals. If WADA decides not put into place a financial reward system for whistleblowers, it should at the very least establish a secure way of communicating with them (remembering the hacks on WADA’s computer system) and ensure their safety. One proposal might be the establishment of temporary shelters for genuine whistleblowers and fast-track immigration procedures. We began today’s session by watching a film of interviews with some of the thousands of young East German athletes who were mutilated in a state-sponsored sports doping program. These victims were transformed, against their will, into men, the rate of cancers is strikingly higher for former athletes than the general population and many of the female former athletes have had problems with child birth and one described the awful pain of miscarriages that she believed were brought on by the toxic drugs she was forced to take. Pain not only physical – the deep, sharp agony of abdominal pain – but also the moral pain of losing life from her body. In her words, ‘The worst thing that can happen to a woman”. WADA is a deeply important force in sports. Currently, the organization is in a difficult situation, but given the right steps it can survive in a stronger, more robust form. It needs to fight for its existence on two fronts. The first is the governance and sponsorship world. The second is to establish an effective and independent investigatory division. Only by implementing credible, independent investigations into doping will WADA be able to survive. It is the author’s hope that this paper has helped, in a small way, to guard WADA’s survival to help clean athletes in the generations to come. You made an excellent, thought-provoking presentation to the think tank meeting. I though it was the essence of “speaking truth to power”, and of intellectual independence. If only all other discussions were as open! Part of the problem so far has been the lack of transparency of decision making and select groups for consultations. No wonder we are asked to do more of the same without any attempt to think innovatively or seek advice from stakeholders with experience.